Whether you have a dog, cat or some other furry friend, pets definitely bring a lot of joy into our homes, and are an important part of the family for most people. As cute and cuddly they may look, however, these animals can have a big effect on the air you breathe in your home. 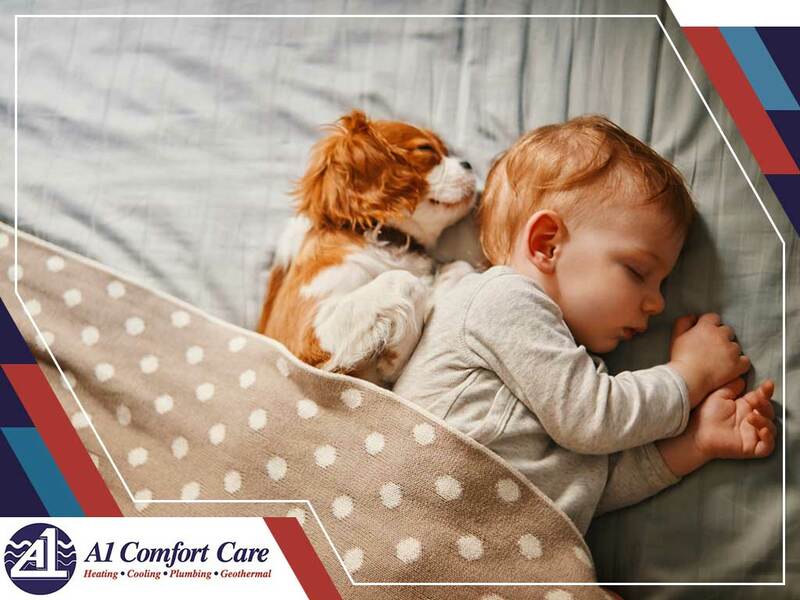 A-1 Comfort Care, a company you can rely on for HVAC and plumbing services, provides some friendly reminders on how to best maintain your HVAC units when you have pets. Many things can get caught in your pet’s fur, including pollen, dirt and other outdoor elements. These particles can then be dispersed in the air, causing allergies and eventually compromising your indoor air quality. Regularly bathing your pets (as often as is recommended for the breed) will not only help your family by preventing potential discomfort and health risks, it was also make your four-legged friends smell much better! While most pets can be trained to do their business outside or in a litter box, they still may sometimes have accidents in the house. We also know that pets are playful in nature, which is why it’s not surprising that pet hair and dander can be found in almost every corner of the house. To maintain a clean home, you’ll need to regularly survey the house for messes, sweep and mop the floors, vacuum the carpets and even clean the furniture. This will help ensure that your house is kept free of pet hair and dander. Pets have a tendency to play with wires, which could affect not only the functionality of your HVAC unit but also the safety of your entire household. That’s why it’s important to hide exposed wires. HVAC wires and even plumbing service pipes can easily be hidden by drop ceilings, faux beams or paint. It’s essential to keep your HVAC unit clean at all times. You can do this on your own or hire a professional to do it for you. The presence of pets in the home can cause allergens to be spread throughout the house, but this can be prevented by having clean HVAC equipment and changing your filters regularly. Have your system inspected periodically to make sure that your air ducts aren’t leaking, and if you can upgrade your HVAC filters, please do so. To ensure the air quality of your home, ask for the help of A-1 Comfort Care. We provide New Jersey homeowners in Wall and Freehold, NJ, with HVAC services. Call us at (732) 993-7200 today for a free estimate! You can also fill out our form for local plumbing services and general HVAC upkeep.